I got my second beauty box box today.. It came with samples of..
My favourite product from the last beauty box was the Shu Uemura high performance balancing cleansing oil. It is perfect for removing my waterproof mascara (better than the MAC cleanse-off oil).. although I would never pay full price ($87) for it. 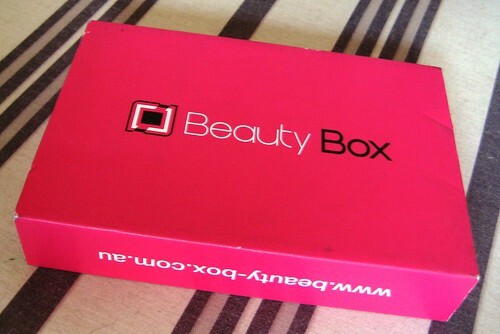 Next month, I'll also be comparing the "beauty box" with the "lust have it" subscription. 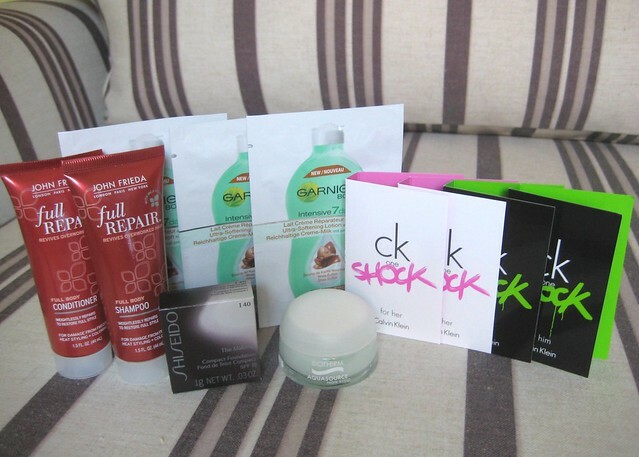 So stay tuned to find out which subscription I think is the better choice and why..
Looks like some good size samples. It's good to try different products. I'm really slack with beauty stuff I prefer spending it on clothes. You must be so excited to try everything out. I am a sucker for samples. can't wait to here your feedback. Wow, those samples are pretty good sized! I am gonna have to try this! PS: Don’t forget to enter my vintage jewelry/antique tea cup giveaway on my blog if you haven’t entered already!! LOVE getting these things in the mail...something fun every month! what good sizes, pretty good box.